Ask students what to retire means. Some students might think that retirement means becoming useless. Constitution is a good example of how untrue this is. She proves that old age has value. She also proves there is more to life than fighting. Constitution retired as an active warship after the battle with Cyane and Levant in 1815. Thereafter, she engaged in diverse activities more appropriate to her age, one might say. Tell students you want them to decide for themselves whether Constitution did anything worthwhile in her old age. Describe some of her activities, sketched out below. After each activity, ask the class whether and how Constitutions mission was important to America. If you plan to play Spin to Win, tell students that whatever they can remember from the lesson will earn them points in the game. To give students an idea of the extent of Constitutions travels, plot the course of her Around the World Cruise and her National Cruise. You might tape enlargements of a map of the world and a map of North and Central America to the blackboard. As you identify Constitutions ports of call listed in the Scuttlebutt at the end of the unit, have student volunteers find the ports and draw a line from the last port of call. 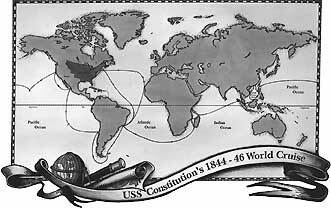 During her Around the World Cruise in the 1840s, Constitution visited countries rich in raw materials. The U.S. Navy was searching for sources of coal to serve its newly-formed steamship fleet. America had plenty of coal, but on long voyages, the ships needed to refuel. Thus, coaling stations had to be established around the world. In some places, unfamiliar languages and customs bewildered the Americans. Captain John Mad Jack Percival lived up to his reputation for being hot tempered by trying to help a French missionary escape from Cochin China (Vietnam today), when in fact the cleric had been expelled from the country, but had refused to leave. Sailing from Manila to Honolulu, Constitution crossed the international date line and enjoyed two Sundays in a row. Constitutions crew surveyed the area at the mouth of the Pearl River in the Sandwich Islands, Hawaii today. The decision to locate the Pearl Harbor Naval Base here was based on that survey. Constitutions Slave Patrol in the 1850s was part of Americas effort to stop the spread of slavery. In 1807, Congress passed a bill prohibiting the American slave trade with Africa, but compliance was voluntary. A new bill in 1819 gave American warships the authority to enforce the ban. The new bill also earmarked $100,000 to create a colony in Africa for rescued slaves. The colony even-tually became the Republic of Liberia. Constitution helped enforce the ban on the slave trade. In 1853, an officer from Constitution boarded a suspicious schooner, an American merchant ship H.N. Gambrill. Upon examining her below decks, the officer found that Gambrill had been refitted to carry a large number of slaves. Constitution seized Gambrill not a minute too soon, for as the officer reported, she was unequivocally ... a Slaver on the eve of receiving her cargo. This honorable action was Constitutions last capture. Before the mid-1800s, naval officers received no formal schooling. They learned sea skills on missions at sea. In 1845, the U.S. Naval Academy was established. Over the course of the next decade, the Navy retired its sailing vessels and re-placed them with steamships. 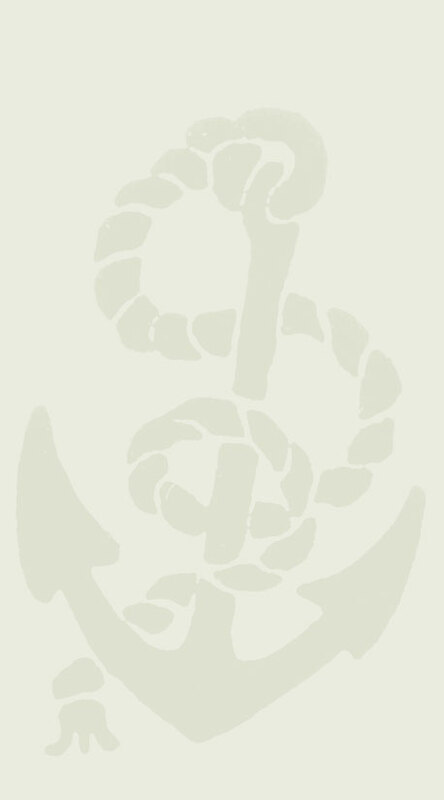 Thus, in 1860, Constitution became a School Ship where midshipmen could learn the ropes. back to the class about the ships visit.